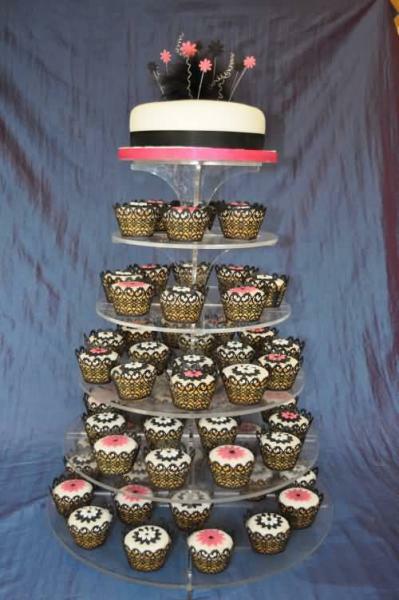 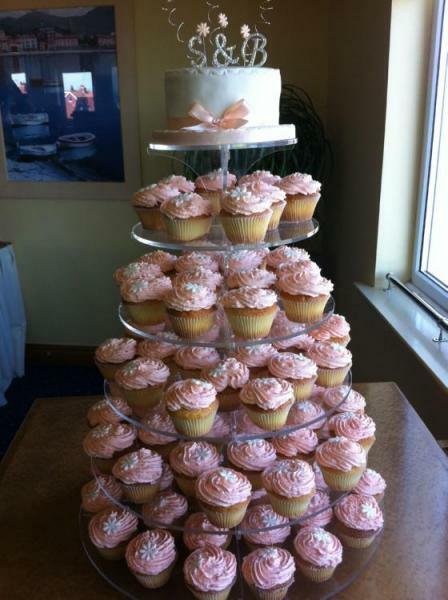 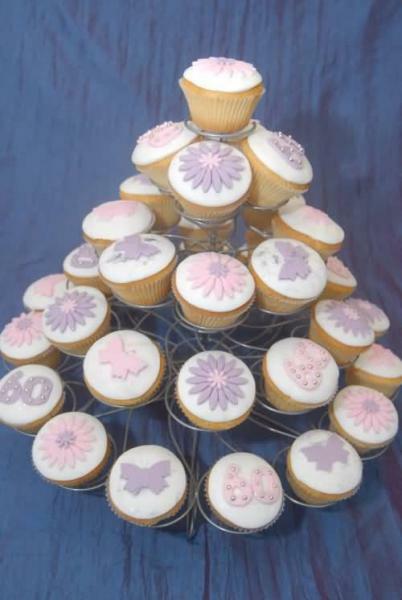 TA very popular design for weddings, birthdays and celebrations is the cupcake or chocolate pot selection. 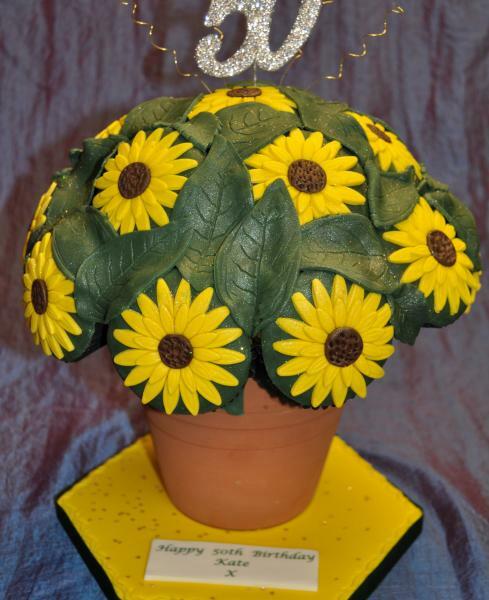 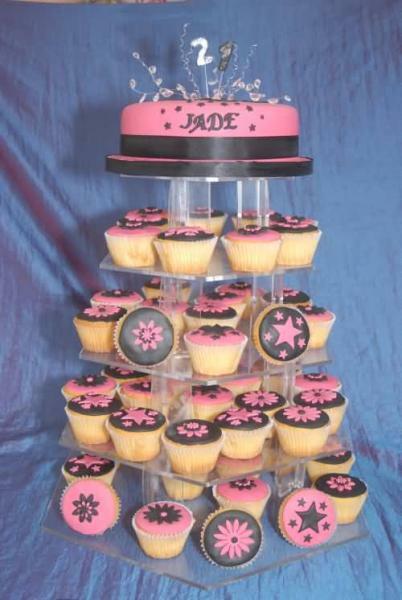 The cup cakes have been extremely popular over the past few months and more and more people like the idea of providing an individual cake for each person. 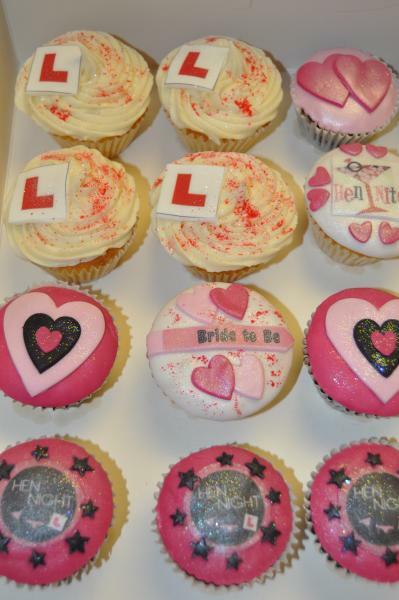 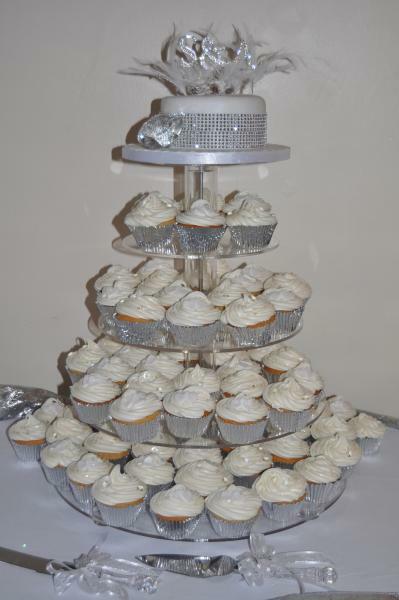 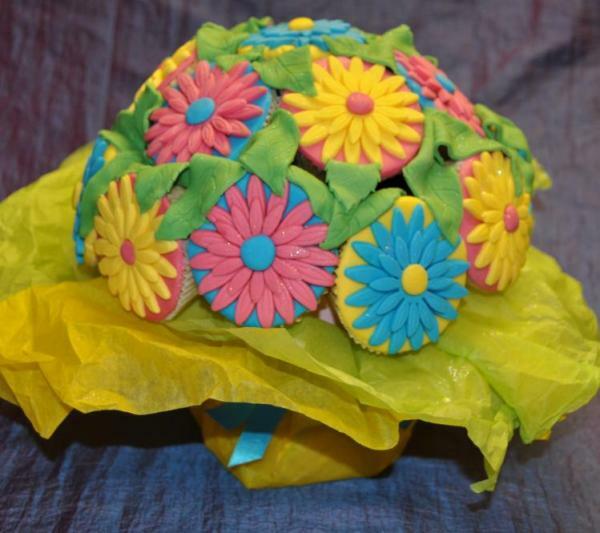 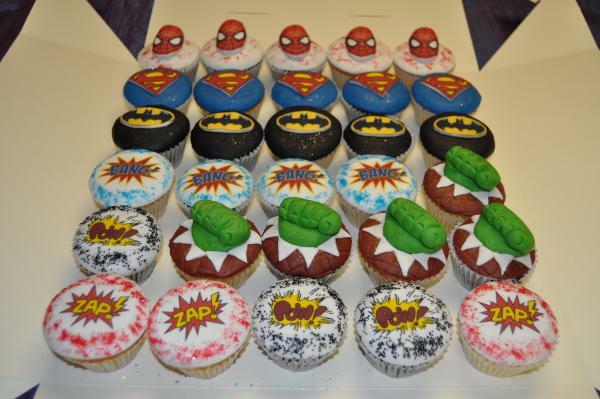 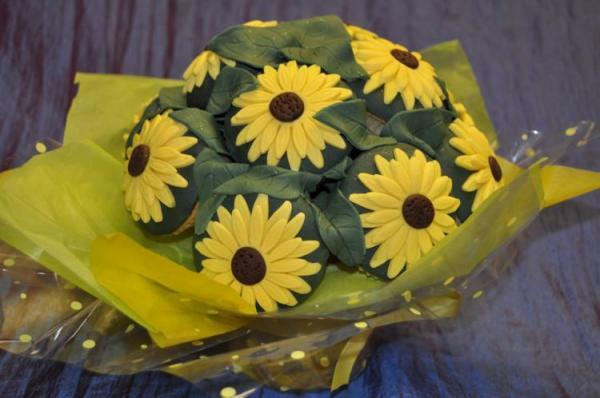 The cupcakes are made with a light plain sponge and can be decorated in hundreds of different ways. 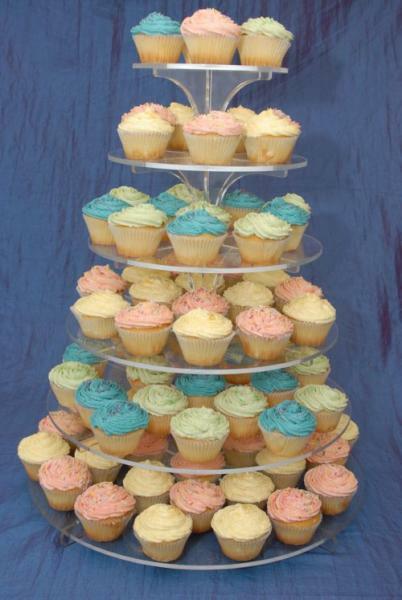 You can have icing in any colour, butter cream coloured to match your theme or even photos of your company or person added to the top. 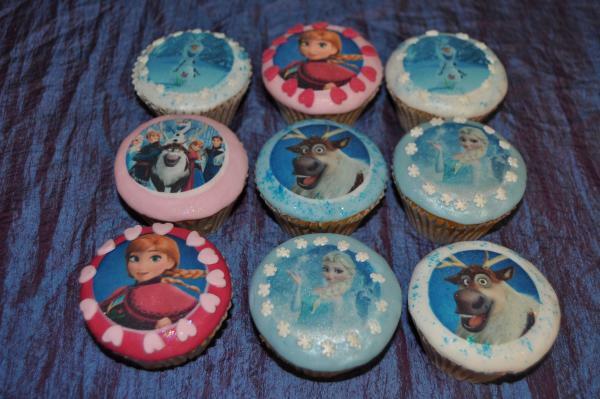 The designs for these are endless. 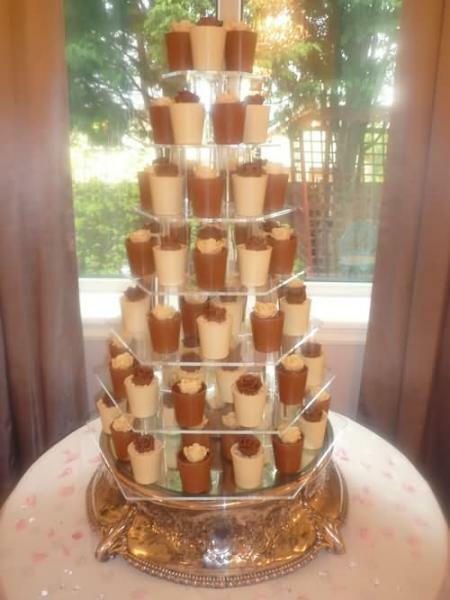 The chocolate individual pots have been our best seller for weddings and larger events over the past few months. 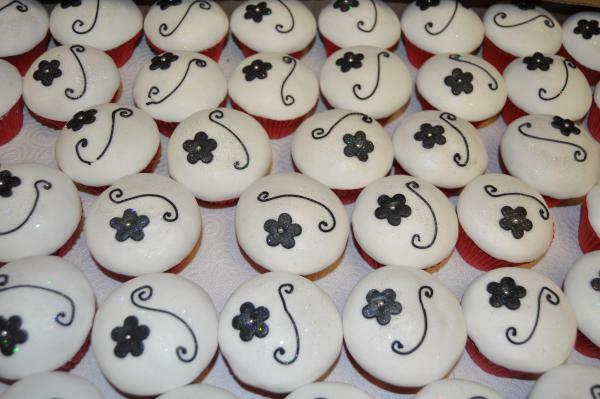 They are individually made from the highest quality Belgium chocolate. 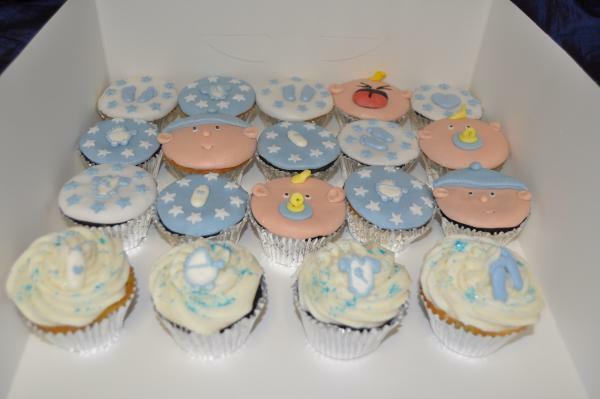 You can choose from milk, plain or white chocolate or have a mixture of them all. 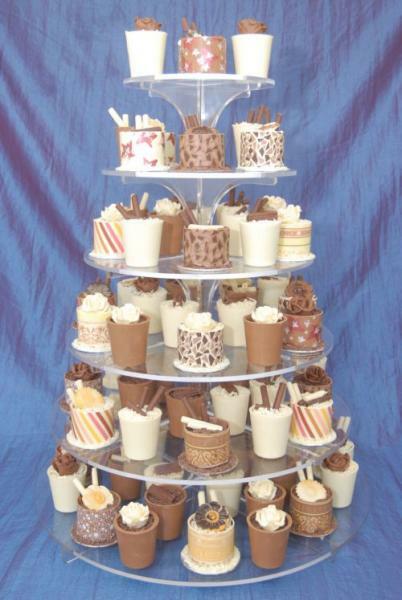 Two types of chocolate pots are available in either the "Plant pot" or "Chocolate serviette ring" style. 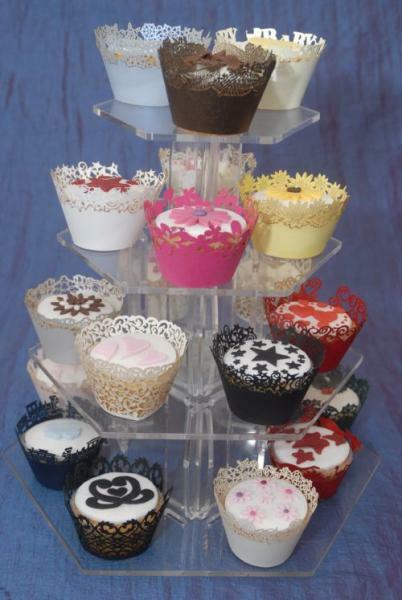 The Chocolate serviette ring style can be provided in any of the chocolate types and you can even have a transfer added to the outside to match your colour theme of the event or wedding. 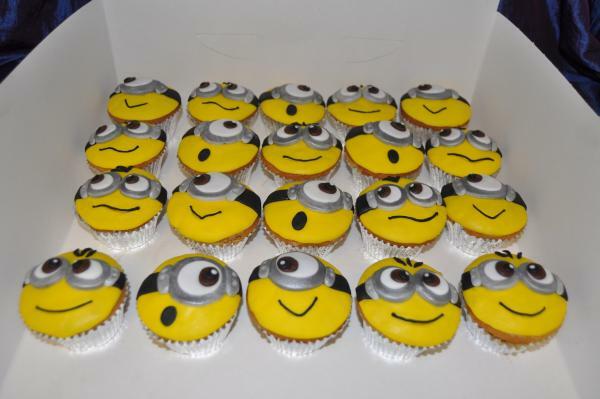 These are the most popular and really make a difference. 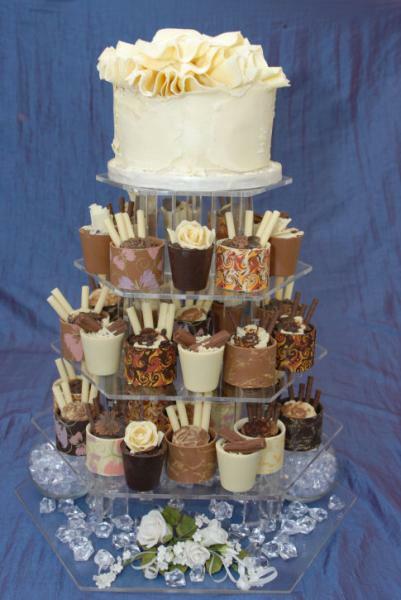 Each of the chocolate pots is filled with a rich chocolate cake and topped with a chocolate fudge filling and topped with a selection of decorations. 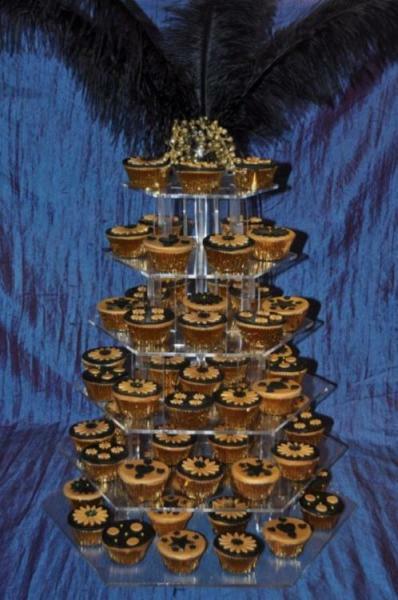 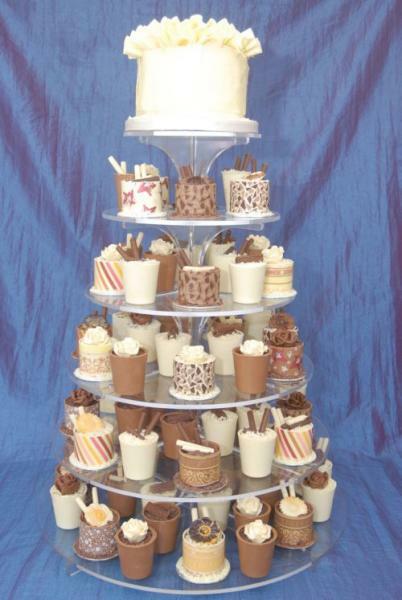 We provide a stand to display all the cupcakes and chocolate pots which helps make this design. 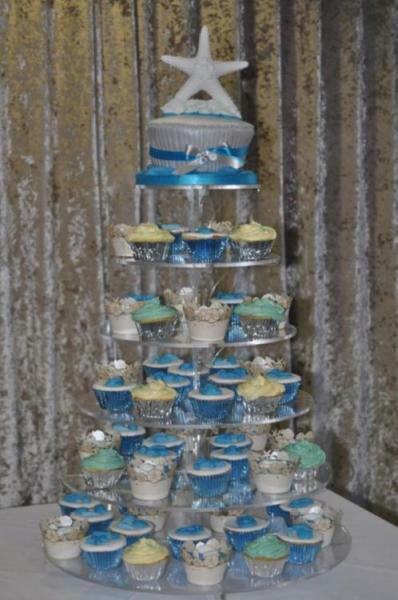 Please view our selection of cupcakes and chocolate pots below and contact us with any enquiries.